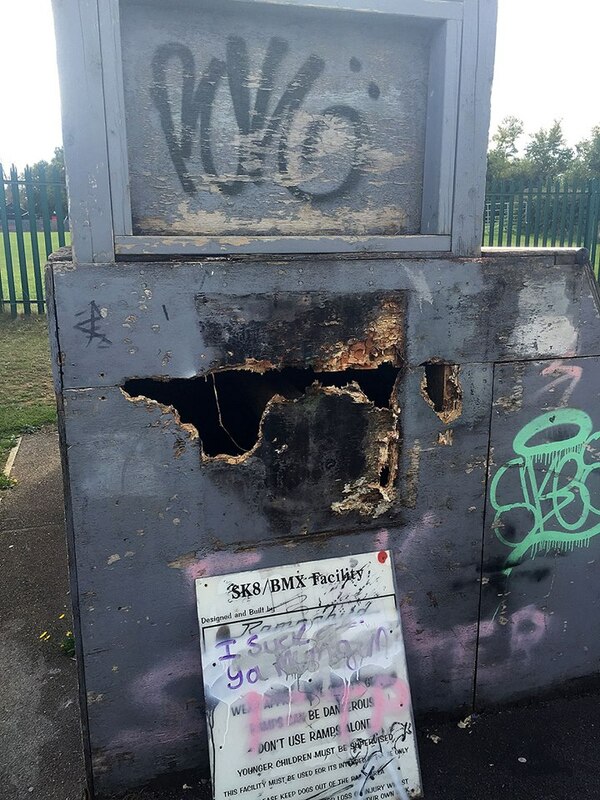 Graham Hanson shared a photo of the Raunds Skate Park at Amos Lawrence Park following further vandalism on the site. 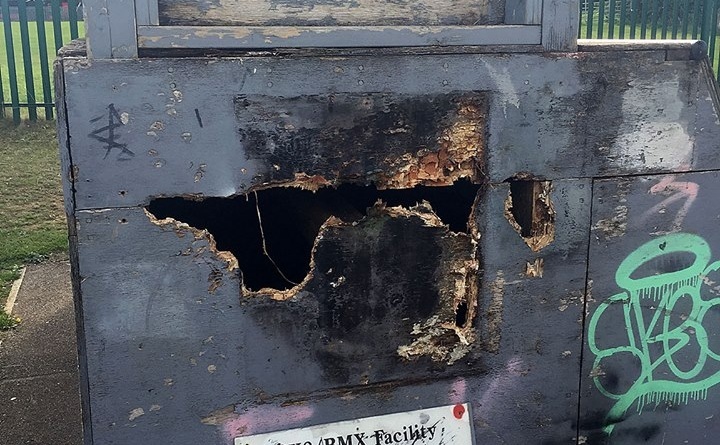 Some local residents have commented that the park continues to be vandalised and yet it is tax payers who are having to continuously foot the bill. The skate ramps themselves are said to be made of a marine style ply that is specifically designed for this type of use and it is regularly treated. What are your views? – Should the park continue to keep being repaired? It’s a shame this keeps happening. All the times I’ve gone to the skate park there’s always rubbish and cans god knows what else just lying everywhere on the floor. No respect from the users as far as I can see. Put up a dummy camara on a pole overseeing the park.